Found 17 file extension associations related to Rawzor Photo and 2 file formats developed specifically for use with Rawzor Photo. 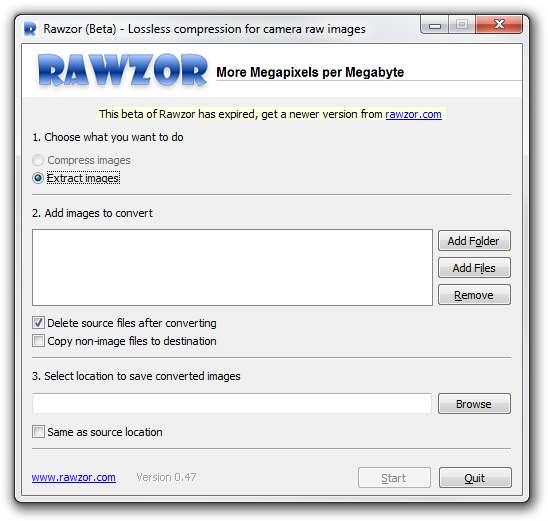 Rawzor uses lossless image compression to compress camera raw images with zero loss in image quality or meta-information. Compress your photos with absolutely no change in the original raw file. If you need more information please contact the developers of Rawzor Photo (Rawzor Technologies), or check out their product website.